Accompanied by one of His shaktis. 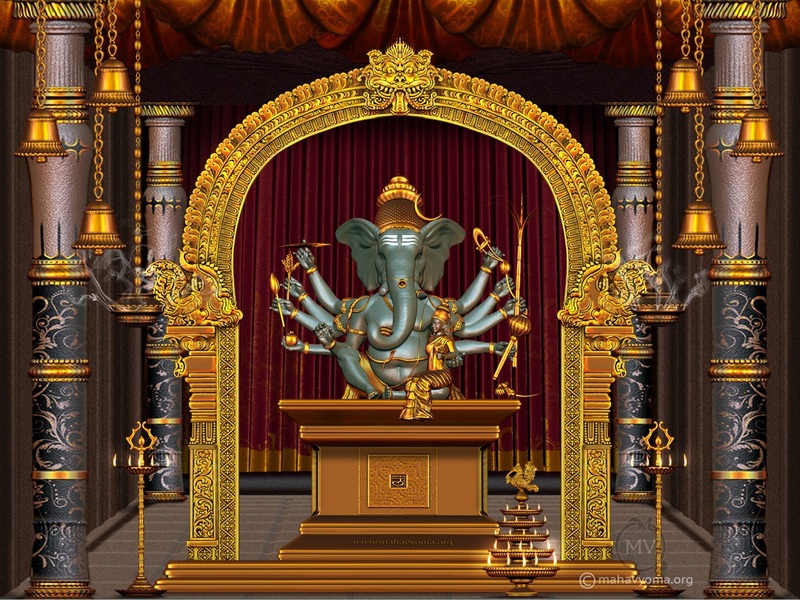 The Great,” Maha Ganapati, is red-complexioned and three-eyed. He holds His tusk, a pomegranate, blue lily, sugar-cane bow, discus, noose, lotus, paddy sprig, mace and a pot of gems.